Los Angeles, CA - (January 21, 2019) - Giant Pictures, the digital film distribution division of Giant Interactive, has acquired North American digital rights for The Bellwether writer/director Christopher Morrison's elevated feminist thriller shot in an ancient church in Brussels, Belgium. 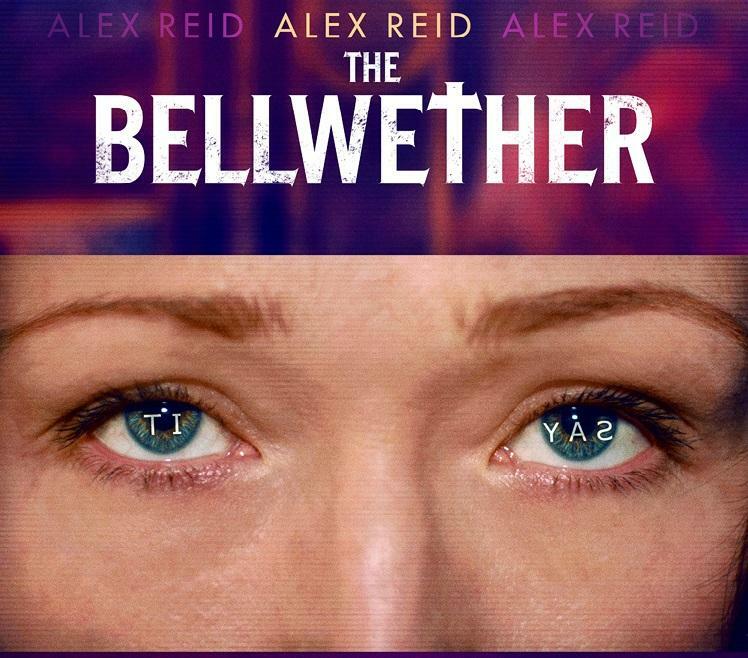 The Bellwether, a deeply character-driven genre piece, a horror and thriller film which addresses women's issues, features a captivating virtuoso performance by Alex Reid, (well known for The Descent and the BBC's Misfits). Giant Pictures will release The Bellwether on February 12 on DigitalHD, and the film will open theatrically in Los Angeles on February 15 with an L.A. exclusive run at Arena Cinelounge Sunset, announced Juri Koll, producer. "Genre and BBC favorite Alex Reid is portraying Joanne. 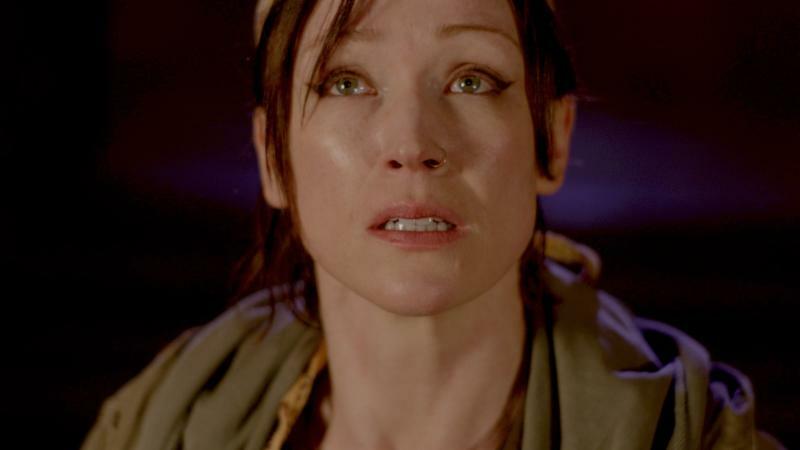 A star of the modern horror classic 'The Descent' as well as TV's 'The Misfits' Ms. Reid brings a grounded reality to all of her roles. We are honored to have her as the first actress in English to play the lead in a solo female led film and she creates a tour-de-force performance as Joanne Steiger," said Morrison. The Bellwether was produced by Morrison with his partner executive producer Ioana Matei under theirReality + banner in association with Juri Koll of Art/World Productions, and producers Lien Callens, Jeff Daldorf, David Roberson, Pilar Stillwater, and Carlon Tanner. 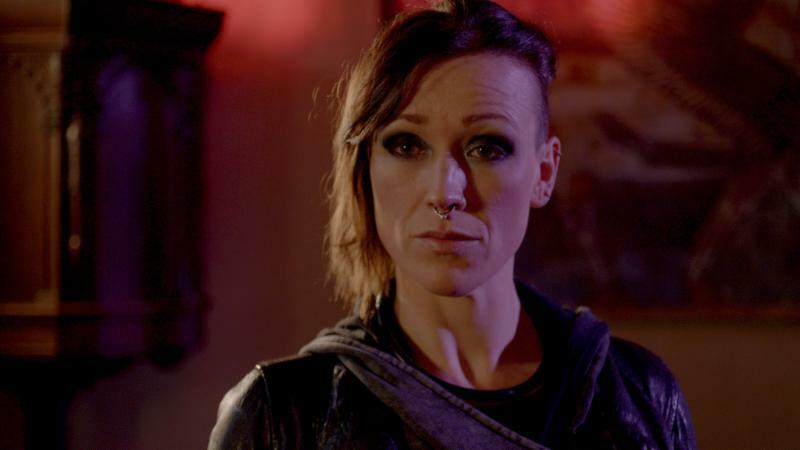 As Director Christopher Morrison relates, "We are a proudly feminist film, and the first film that is a solo character film that features a woman as lead... Alex Reid plays four different versions of the 'Joanne' character (sometimes in the same scene)." In The Bellwether, to the outside world Joanne (Reid) is just a bookstore owner, but The Conspiracy knows different. She is dangerous. She is a bellwether: a quiet leader who is well on her way to being her whole self. When they kidnap her to break her, to make her conform, they discover that Joanne is something so much more than even she ever knew. The Conspiracy locks Joanne in a 13th century chapel and she communicates with her 'operator' only through text and images shown a television. In order to break her, they work on her hidden pain, the fact that she had an abortion four years ago. After standing up to the mental torture, the Conspiracy goes even farther; impregnating her and trying to force her to have the baby. At the moment when she is about to give in she will either break, or everything will change, for herself and for the Conspiracy. 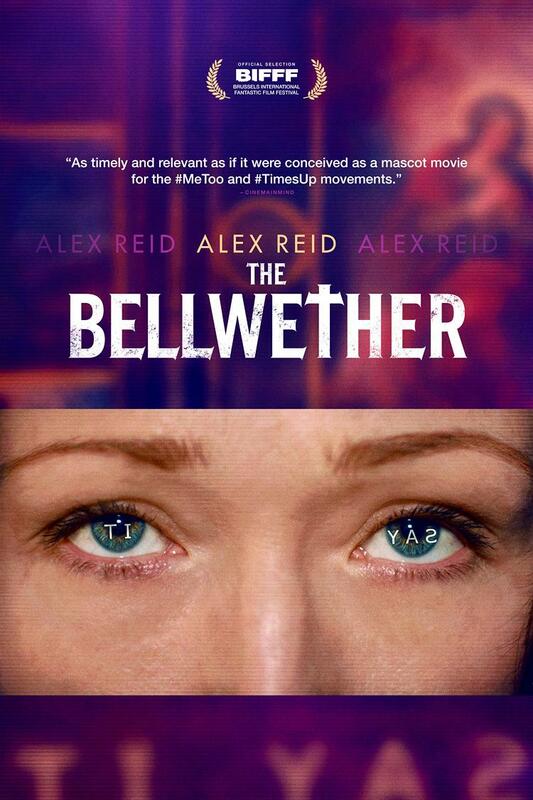 The Bellwether is the world's first English-language one-woman feature film, and a feminist elevated genre one-room movie. There was gender parity on the crew, with 15 different nationalities represented on the crew speaking over 20 languages. "I consider myself a life-long feminist and when I sat down to write this script I wanted it to be an extension of that. We are very deeply concerned that the content of the film be feminist; that's what the story line addresses directly. Elevated genre is an exciting new wave of cinema in which you take a piece of genre material, which in Hollywood would garner a $20-$200 million budget, and push it down into a very small budget focusing on the 'realistic' aspect of it," said Morrison. "The story takes place in a reality where there is an acknowledged conspiracy that kidnaps women and breaks outspoken women in an effort to make sure that they stay in line with traditional gender roles, and then puts them back into society in order to keep society docile. There is a counter-conspiracy. The story follows Joanne, one of these outspoken women who is kidnapped and trapped in a church. Little does the conspiracy know and little does Joanne know that she has her own deep secrets that change her and change the conspiracy as well," adds Morrison. Tim Cogshell, renowned critic on NPR's Film Week, says The Bellwether is "...a feminist rebellion, a rebel cry, loud and stark and unrelenting...Joanne (Alex Reid) the single character in a powerful film that's true to its title - The Bellwether...Reid is a British actress and Morrison developed the concept of the film well before the events of the Me Too and Time's Up movements, yet it is as timely and relevant as if it were conceived as a mascot movie for the movements." "I'm very pleased we landed The Bellwether with Cardinal XD, as we work with them on other films and know Jeff Goldman and Sophie Tillson well. We'll initially be released on iTunes, Amazon, Google Play, Vudu, and Xbox via Giant Interactive - with other platforms to follow, along with Vietnam and other territories for our February 12 worldwide release," said Koll, producer. "The DVD release date will be announced in the spring," added Koll. For foreign distribution, the film was picked up just before the American Film Market in November by Cardinal XD; the deal was solicited and negotiated by the legal team at Ramolaw. Strong interest was expressed by several territories at AFM, and positive feedback resulted in a quick sale to JSC (Vietnam) and heavy interest from the UK, Israel, the Netherlands, and numerous other territories with deals being negotiated now for this groundbreaking art house genre film. "We're excited about The Bellwether, it's strong message, and think it launches at the perfect time on the world stage," said Jeff Goldman of Cardinal XD. We are dedicated to elevating the digital distribution experience. Giant Interactive is proud to introduce Giant Pictures, a boutique digital distribution label committed to filmmaker empowerment in every step of the process. We provide a range of services from tools for self-distribution to full project management of the digital footprint. At Giant, we offer scalable solutions that provide the expertise you need to distribute your story, your way. REALITY+ is bringing genre back to reality. No story is more compelling than character driven work that has something to say about the world we live in; about who we are as humans. We are dedicated to creating genre pieces that are about something. Film, theatre, trans-media, advertising, it does not matter. Our passion is to tell stories grounded in the real world that have a genre element pressing in from outside our accepted reality. Juri Koll began Art/World Productions in the early 1990's directing documentaries on artists and the artworld, then began producing and directing theatrical feature films in all genres. He has worked with Academy Award winning talent along with up and coming performers, and is passionate about filmmaking. He and Christopher Morrison of Reality + have worked on many of their films together for over 20 years.